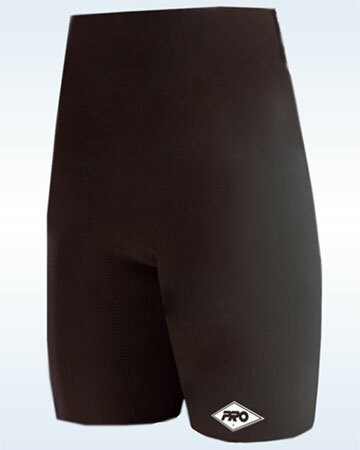 The favorite with professional athletes for years has been redesigned to give better compression and heat retention. 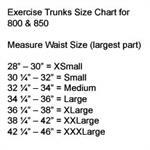 The legs have been extended 4” to provide complete coverage of quadriceps and hamstring area. 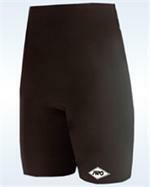 The original high waist has been maintained for low back support. Provides beneficial heat retention during weight training and conditioning programs for low back muscles, hamstrings, groin, hips, quadriceps and waist. The 800 Exercise Trunks feature the original 1/8” neoprene; The 850 trunks have the same design features as the 800 Exercise Trunks but constructed of a thinner 1/16" neoprene for slightly less heat retention while maintaining uniform elastic compression. Both are available in black N2 material only.